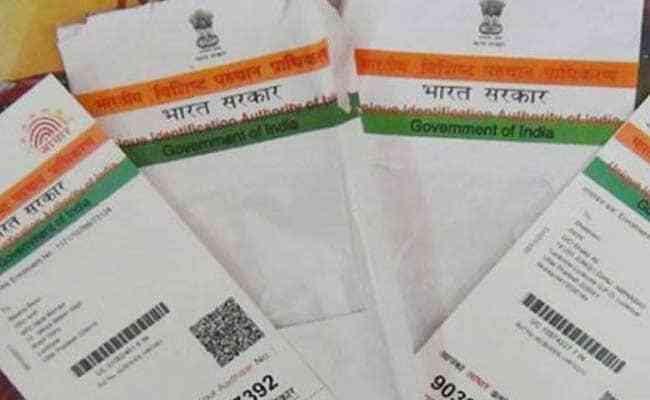 Aadhaar UID (Unique Identity Number), Aadhaar letter (containing the EID or enrolment ID) or Aadhaar card can be obtained online. 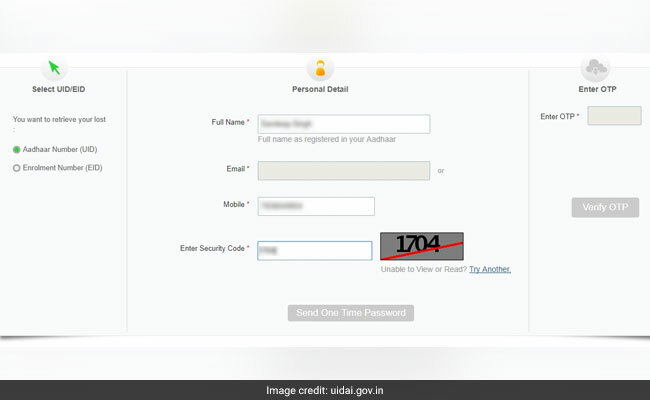 This has been said by the UIDAI (Unique Identification Authority of India), the issuer of the 12-digit personal identification number based on biometrics data, on its website – uidai.gov.in. 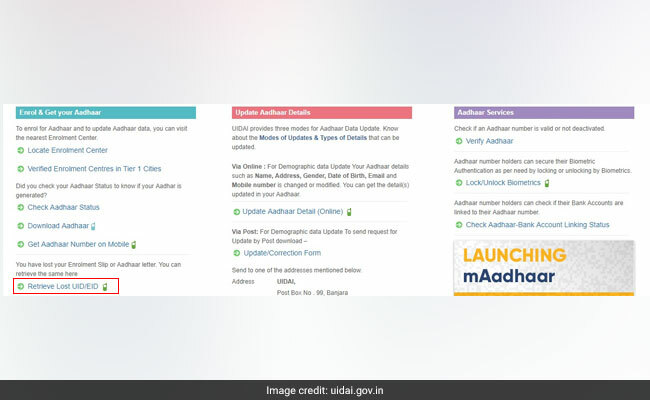 If you have not receive your UID yet, or have lost your Aadhaar card or enrolment slip, you can use the UIDAI’s portal to download the identity card in digital form or retrieve UID or EID, according to the Aadhaar-issuing body. An EID or Aadhaar enrolment ID is issued at the time of submission of an Aadhaar letter, or Aadhaar application. 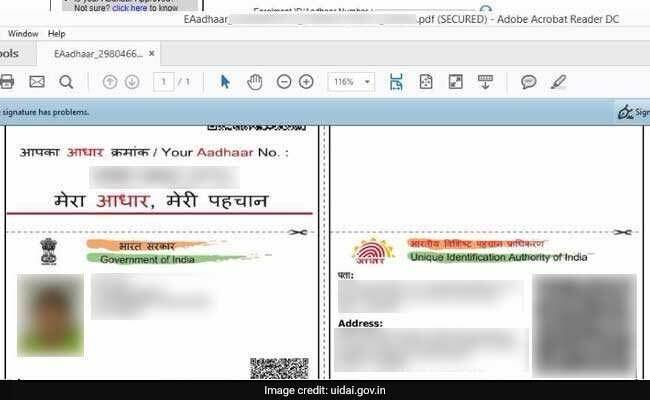 The government is expanding the scope of linking of Aadhaar card with important services such as bank accounts, mobile phones, savings schemes and so forth. Visit the UIDAI website and click on the ‘Download Aadhaar’ link. This tool can also be accessed by a link. On the next page, fill in the ‘E-Aadhaar’ form with the required details. Select the appropriate option between ‘Enrolment ID’ and ‘Aadhaar’ in the ‘I have’ field and proceed by entering the necessary details. Click on the ‘Get One Time Password’ to receive the OTP or one-time password on your registered mobile number. Once you receive the OTP on your mobile, fill this into the ‘Enter OTP’ field. Push the ‘Validate & Download’ button. The downloaded file can be accessed by using your postal code as password. 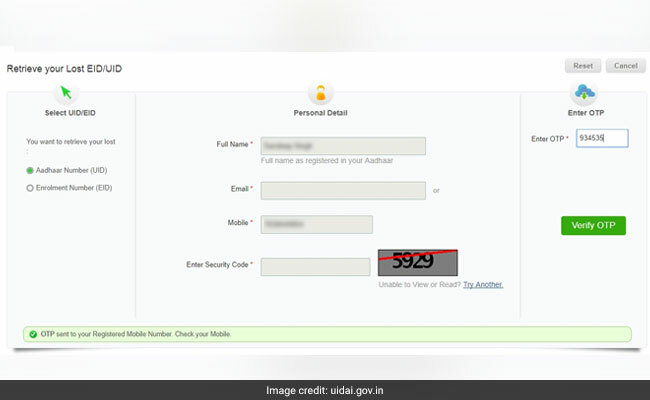 “Please use your postal code as password to open the E-Aadhaar pdf file,” according to the UIDAI portal. 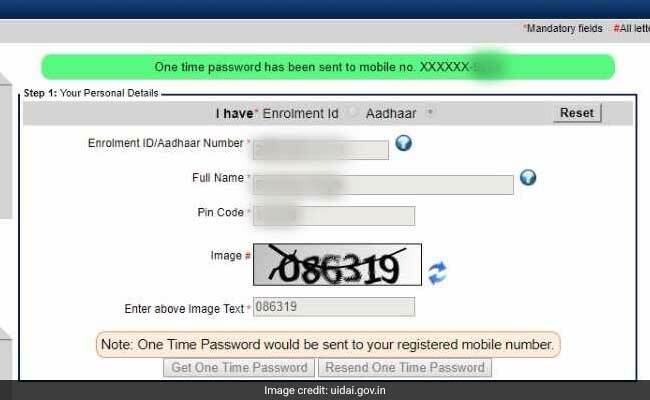 Those not having access to their mobile number registered with the Aadhaar database can proceed by quoting their EID or enrolment ID number using the same form, the UIDAI adds on its website. The UIDAI is a statutory authority established under the provisions of the Aadhaar Act, 2016. 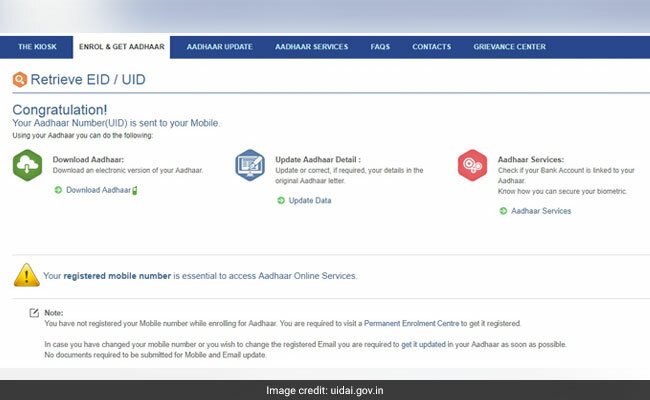 This ‘Retrieve Lost UID/EID’ tool can be used to retrieve your Aadhaar number (UID) as well as Aadhaar enrolment ID (EID). You can also access the ‘Retrieve Lost UID/EID’ tool by clicking here. On the next page, make sure ‘Aadhaar Number’ is selected on the left side of the page for receiving your Aadhaar card number on mobile. Fill in the personal details as specified against the required fields. 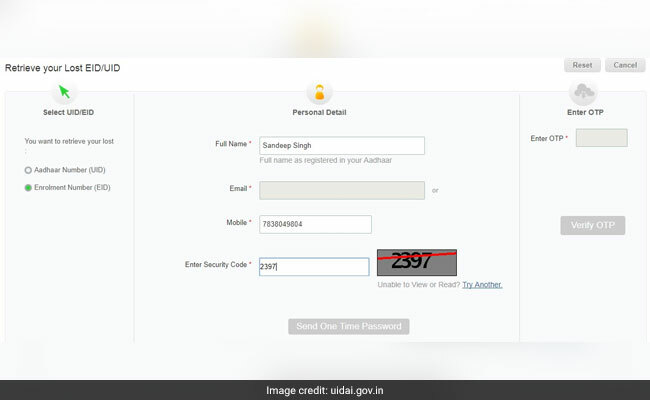 You need to give your name, the mobile number or email address registered with Aadhaar and the security code as displayed on the form. 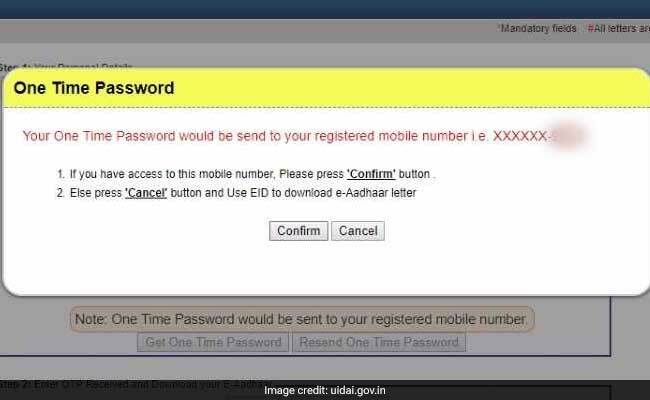 “Your registered Mobile Number / Email which you had provided at the time of enrolment is mandatory to retrieve your lost UID / EID,” according to the UIDAI website. After entering these details, click on ‘Send One Time Password’ at the bottom of the form to proceed. Enter this OTP in the given field on the right hand side of the form and click on ‘Verify OTP’. The ‘Receive Your Lost UID/EID’ tool also enables users to retrieve their Aadhaar enrolment number, also known as EID or enrolment ID. This facility is for Aadhaar applicants who are still awaiting their Aadhaar card. Select ‘Enrolment Number (EID)’ option on the left side of the tool, fill in the required details such as name, phone number/email and the OTP. 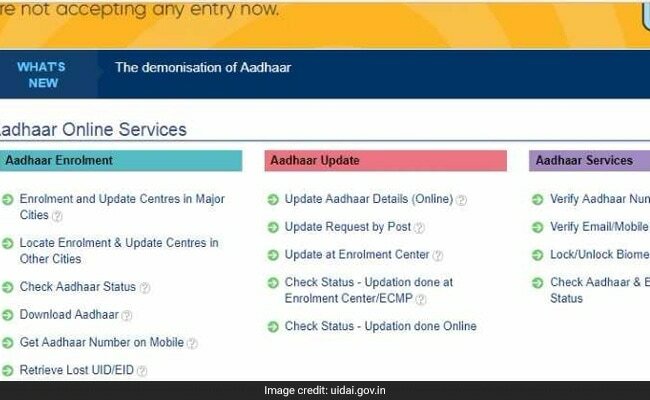 At the end of a successful submission, the UIDAI tool sends the enrolment ID to the user.